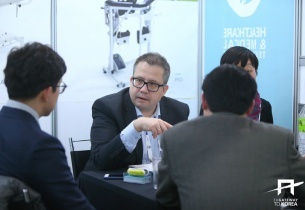 Between 12th and 16th of March a group of european companies were invited to Seoul (Korea) for an EU Gateway | Business Avenues mission in Healthcare & Medical Technologies. We had the pleasure to take part in this event and present our products and services. We had also participated in the Korea International Medical & Hospital Equipment Show (KIMES), which was the great opportunity to gain insight into the local medical and healthcare industry and to meet potential new business contacts. We would like to thank all the visitors and attendees for their presence and hope to see you during the next edition of the EU Gateway.